People consistently tell me that eating well is the most difficult part of "health and fitness." It's no wonder--there is so much information out there. And much of it is conflicting. Eat "low fat." Put butter in your coffee. Don't eat carbs. Gluten is bad. Red meat causes cancer. These are just some of the turds of "wisdom" that are floating in the toilet of information overload. Excuse my metaphor. I guess we are going to be eating, right? Well, let's keep it simple. My favorite food advice comes from Michael Pollan: "Eat food. Mostly plants. Not too much." But "food" is not just anything that comes from the grocery store. It's the real stuff. Stuff you make out of whole ingredients. And what exactly constitutes "not too much"? 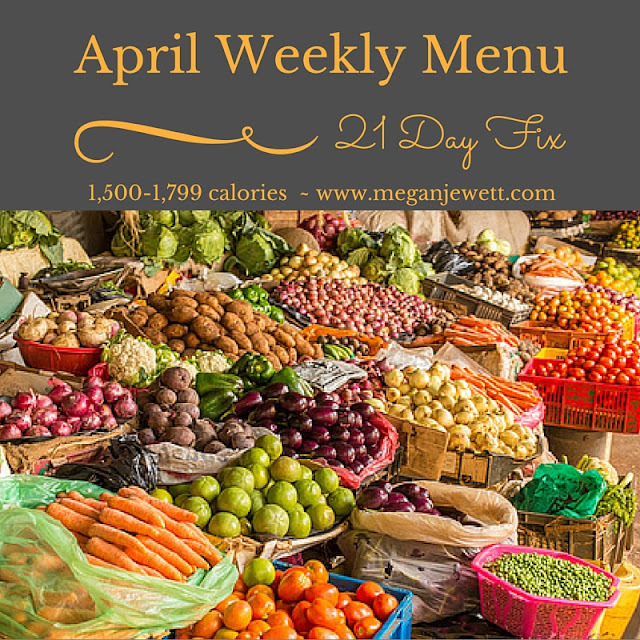 I follow the 21 Day Fix/Hammer & Chisel food portion container system. I have found this to be the easiest, most efficient way to track my own food intake. It also allows me to make food that my whole family can eat with me. When you focus on using real food, you know you've got a sustainable plan that is more than a quick, temporary fix. It's a lifestyle that will take you from a goal of weight loss to restorative eating that will heal you and make you well from the inside out. So what's on the menu this week? 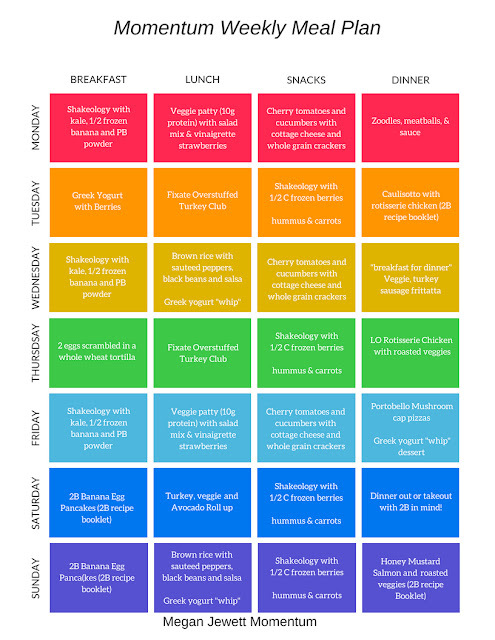 I'm in the process of digitizing all of my weekly meal plans. Here is one of them. You will notice that throughout the week, I tend to repeat myself. I do that to save money at the grocery store. And it's not a big deal as long as you are introducing variety from week to week. 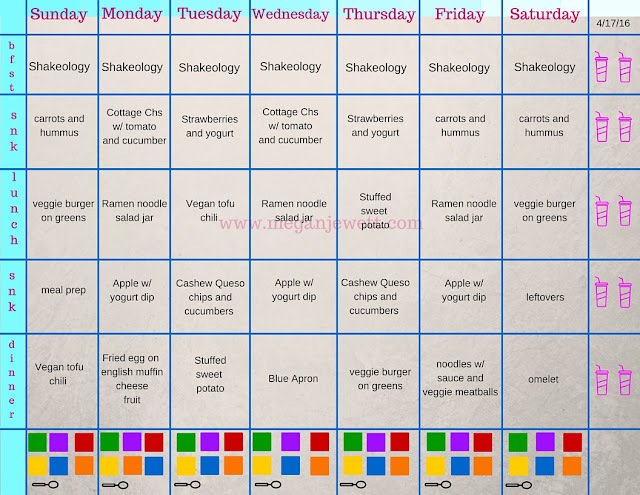 So next week, my meal plan will look different and incorporate different fruits, veggies, and whole grains along with my usual protein sources [I'm a vegetarian] like greek yogurt, eggs, cottage cheese, Shakeology, tofu, and tempeh. Do you want to learn how to meal plan like a pro? Do you want tracking your food and losing weight to be easier (it will never be effortless--nothing worth doing is effortless)? 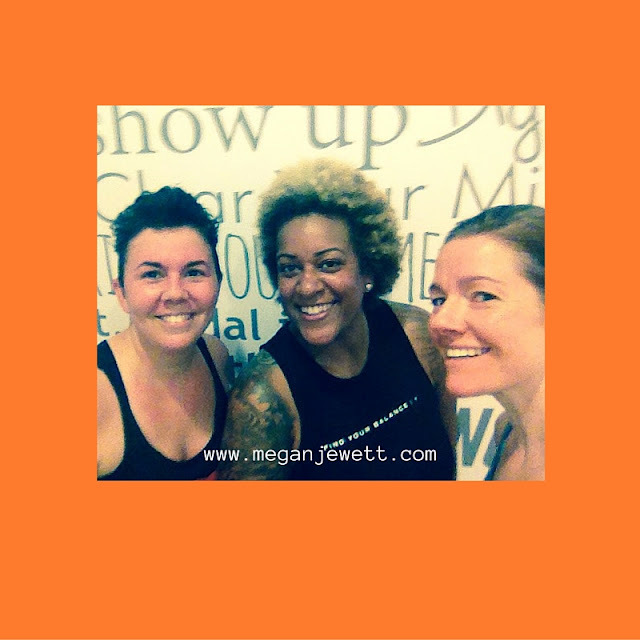 Join me in a challenge group where we will work out, plan meals, and talk about fitting all of this into a schedule that is already impossibly jam-packed! 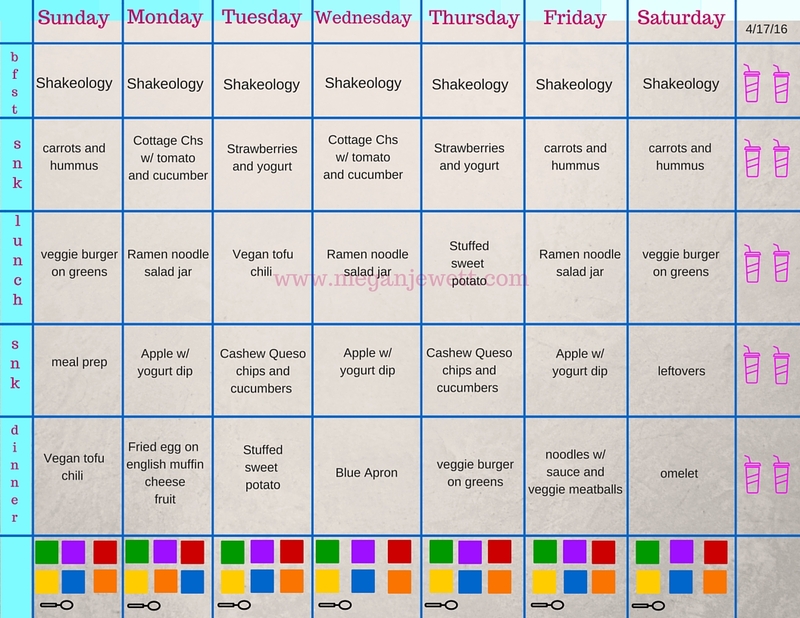 Notes: I change my Shakeology recipe depending on how many other carbs I will be eating that day. If I need an extra to hit 3 containers of carbs, I will use a recipe that has almond milk in it. I ALWAYS add a cup of greens (spinach, kale, dandelion greens, etc.) and 1/2 of a banana. I often include a teaspoon of peanut butter or almond butter. Ramen noodle salad recipe will be posted later today and I will update with a link to the recipe. You can also sub one of my other jar salad recipes. Vegan Mushroom Tofu Chili is here. Stuffed sweet potatoes are baked sweet potatoes with the insides scooped out. Then scramble some eggs with green peppers and mix with the cooked insides of the potatoes. Add it all back into the shell. I also add black bean salsa (store bought), a little greek yogurt and green onion on top. Noodles with sauce and veggie meatballs is another quick dish using mostly store-bought components. I replace the pasta with zucchini zoodles, use 1/2 a purple container of sauce, and store-bought vegetarian meatballs for some protein. The fruit dip to go with my apples is 1 red container plain greek yogurt, 1 teaspoon cinnamon, 1 teaspoon honey, 1 teaspoon vanilla all mixed together. It's so good!